Low levels of DHA are also linked to an increased risk of heart disease and general cognitive decline. 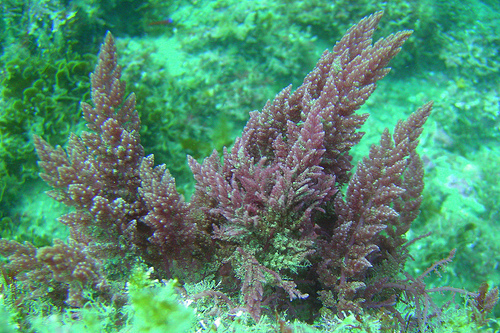 The only vegan source of DHA is algae oil. Fish get their DHA from algae, and nonvegans usually get their DHA through eating fatty fish. If you’re vegan, you must take supplemental take algae oil on a regular basis. For kids, for those pregnant or lactating, or for people who suffer from depression, a daily DHA supplement is nonnegotiable. People who have brain related diseases (such as MS), cancer patients, or those with cardiovascular disease need to take DHA because it has been shown to inhibit progression of these diseases. Flax seed or oil, as well as walnuts and other nuts and seeds are excellent sources of ALA, another omega-3 fatty acid, but do not contain DHA. Your body can convert ALA to DHA. This is why DHA is not an essential fatty acid. However, in many people this conversion does not work well. This is often the case for people who eat many omega-6 fatty acids (in nuts, seeds, sunflower oil, meat etc.) or people who eat an unhealthy diet. ALA is very important in supporting many body functions. There are many foods currently being supplemented with algae DHA, such as soymilks, baby formula, and supplement powders, such as Omega to Go powder packets. There are vegan capsules with DHA or oil droppers. DHA is even being added to dairy and eggs now, because factory farming has eliminated the typically large amount of the substance that used to occur naturally. *When seeing DHA, you may also see EPA, Eicosapentaenoic acid, which is a precursor to DHA, and shares its beneficial properties.